Nightbird: So You would circumcise dreams? They are from My Father and they cannot die! So You would circumcise dreams? They are from My Father and they cannot die! Give me a stirring in my heart and mind, oh you singer of songs of and dreamer of dreams. Player of the nyatiti strings sing me a song. And let a woman stump her foot and on her ankle beads strung with love ring. Anointed. I meet sellers of dreams and stop to listen. we cannot bargain the price. Not for sale. Dreams are too precious. I cannot let the flame ebb away, die. I cannot cut the joy of dreaming and throw it away just like nobody should ever cut me or circumcise a dream. When I meet a dreamer I think to enjoy the poet's way and the poetry while I can. After all do we not take a drink, oftentimes alcoholic to while the times away? Watch a movie? How hard it is to sell dreams. I wish we could revere dreams for what they are. We do need decent men and women in leadership at all levels to see that our dreams come true. For somehow ambition and dreams are connected. Reflection. Action. A person who reflects is not one to easily trash. It does not matter if we are talking about a poor woman in the market, a worker or a president. To begin listing only failure for Obama reveals a rather strange take. You must do something yourself for us to see, to help us dream and be one nation. Kenya is challenged at many levels. At least recognize those who can move people in great numbers. During Obama's visit, the discussion on Obama especially from Kenyans was vicious on social media. It carried angry ethnic slants too. It was time for our thinkers to raise us a notch higher to nudge us to greater understanding of the other and not the opposite. It is no secret that in Kenya the people who discuss him try to root him on their side of politics. They take him to an ethnic enclave sometimes. They forget that we know he does not fit there. Some then decide he does not belong to them ... and want to cut him short. Circumcise his dreams. I got tired of classifications sometime back and I so wish we could do them more for the ecosystem and keep the bees alive rather than keep on classifying all of us, now into colour, then into ethnic groups.. and so many other social divides. One of them is the ugly question always arising at election time when the male and female circumcising Central Kenya groups begin to point out that they cannot be ruled by one from an ethnic group that does not circumcise. It sounds crazy, almost trivial to ears that come from far, trite to those from near. But this is one of those huge barriers that when put up in your local area you cannot surmount. It speaks to cultural ties and a bitter history. But this article is not dedicated to that in detail. It is like a black and white racial thing. The rift between those circumcised and those not was always suppose to be impossible to cross. The act set one apart in being the right one and other one to the level of irredeemable, unacceptable, incapable.. useless...even among people of the same ethnic group. To circumcise dreams is for me then to rank Obama's thoughts as completely inconsequential and to insist only on the negative. How hard it is to make people young and old think of the possible when always faced with what dresses itself as the impossible. In Obama's own words.. to have the belief that "I could be part of something bigger than myself" is key. This is not purely about politics and is not rhetoric. A look at politics. I well know an American presidency is not a simple thing to analyse. It is unthinkable that we bury mistakes but it is reasonable that we understand that being a president is not about being the angel who makes everything happen, or even god. We need hope. We need to desire deep peace and understanding among us. Other nations have gone through tribal tensions we can learn. We have heard many speak also against apartheid, racism and so on. We know of Robert Kennedy and the 1966 speech 'Ripples of Hope' which was evoked spoke in the same University of Cape Town hall by Obama in 2013. http://www.rfksafilm.org/html/speeches/unicape.php. A glance at the world today and in the past, when is it that we do not need hope, "The Audacity of hope?" Is it now in South Afrika, Is it now in Egypt, Turkey, India, Kenya, Tanzania, Syria or China? Is it the USA? He was lucky to be there. On this side of the world and of history stood Obama at this time on the continent first having visited Senegal and Goree Island, the Door of no Return on his way to Tanzania but not neighbouring Kenya. In South Afrika, Obama arrived at a delicate moment for the nation. Only a person who disregards the overall picture can say that Obama is not lucky to make it to South Afrika whilst Nelson Mandela is still alive. Ahmednassir would also burden Obama with arriving whilst Mandela was sick? But Obama was happy and touched as he visited the cell of Prisoner 46664 on Robben Island many years back. Obama said he was humbled. 27 years of imprisonment and coming out to unite and forgive? The protest against Obama that took place in Soweto was not unheard but it did not overshadow the visit. 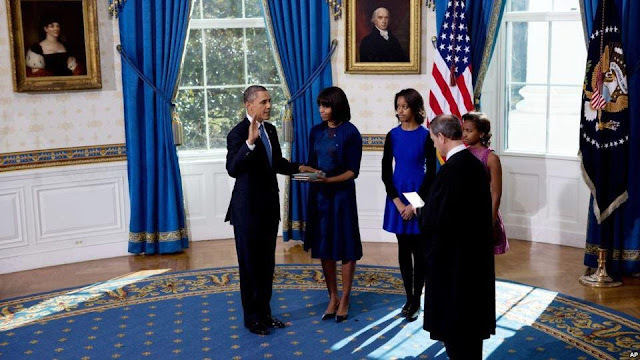 Obama has proven that he is a man in touch with his family, his dreams and hopes. A young man last night vehemently argued that humans do no like people like "this man Obama who keeps in touch with themselves like that." He was angry that many people had lost sight of the power of the dream that Obama shared which was not merely about getting elected. I could feel his outrage. This man will always be his hero, there is no doubt and this teenager thought that Kenyans waste a lot of opportunities for uniting as a country and finding justice. This kind of reaction is not the only one to be counted. Other young people were reported to have been of this opinion and others perplexed by how the world turns around people and issues. The fire must not die for it is those who stare at dying embers who bring hope to many. Obama never intended that his politics would lead some to dreaming less about the hope for growth and unity. That we would take crimes against humanity lightly. That he did not visit his fatherland as he said himself was because he did not wish to at this time. True the Kenyan president stands indicted as well as his deputy before the ICC. Some in Kenya and elsewhere argue that this is no business of USA, but it touches on humanity we all know. And humanity goes beyond signing or not signing the Rome Statute which USA says supports. 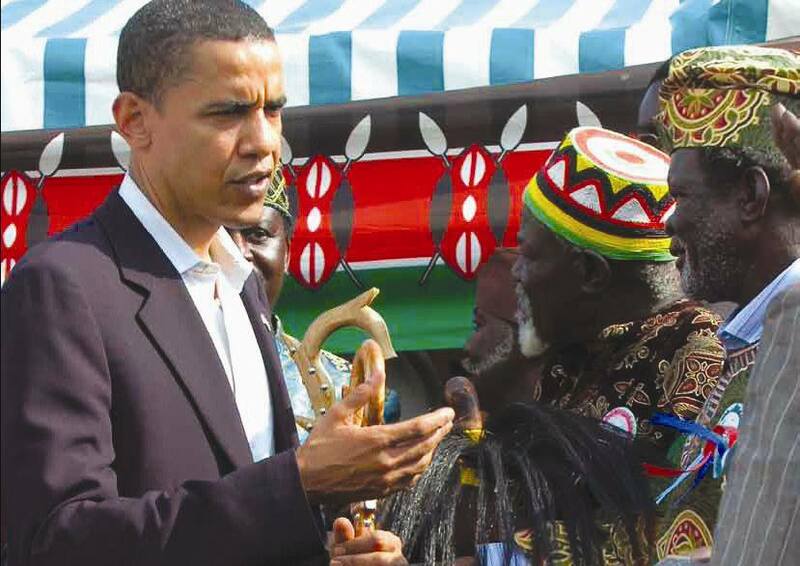 There was a time Kenyans could downplay a visit by Obama when he was a senator and they did. The Government spokesperson, then Alfred Mutua and now a governor in Kenya referred to him as a 'small senator'. But now his dreams are too big and they irk those who would tribalise things, for surely, Obama is looking at justice here. All know he has loads at home. What with all that military occupation, leaks and all? What with natural and other calamities like the raging fire in Arizona today? What with people who want him to be part of discriminating against American homosexuals. Hard with the contested rights of the gay people which he approved of and for which there is an appeal in the USA. What with this being seen as the most un-African thing a man like him can support. What we all regardless of where we come from cannot let go is of that hope and those dreams. We cannot afford to. Obama has managed to raise the hearts and minds of a large number of young people especially in South Africa where watching Mandela ailing meant real pain for people young and old around the globe. For Mandela is another dreamer who called himself "An incurable optimist." Asked about the dreamer and the dream humanity answers it would always want to have both. And all her children in justice treated. We cannot get used to discriminating on any ground. We must reject it because of the word humanity. The sun is setting somewhere now, may it rise elsewhere with rays and of dreams of hope. Tonight we trash the gay because yesterday we killed the other tribe and tomorrow in church we shall justify all to the lay. May the moon too always bear us through. I did not say am innocent. In Kenya Obama's name should not bring division. He never looked at Kenya that way. We do. He saw and believes in something else, all Kenyans and people, not a tribe. We Kenyans are the ones who do not hear the other and base that problem on tribe. Politicians and we divide ourselves along tribal lines, it is good for the game and for national cake eating. Obama should be credited with helping many look beyond that tribal division. He could not be further from such thoughts. We can learn that the lesson hopefully not too late for the learning, that Kenya has problems indeed, glaring ones, but that all that tribalism regardless of having learned it from being oppressed first in colonialism and then under our own politicians, it is simply out of place. If each Kenyan could only turn to five neighbours and say, "Let this be over now, let us continue voting justice...in." We are calling each other names on facebook and all over, and we seem incurable of our very own disease. But this we must conquer and that is a dream that we must share, not sell. Poor and young people have seen themselves as Mandela in these hard days for him. President Obama's visit did not fail. It made history and it revealed to some many things. Besides it was a landscape of the golden rays of the sun that must set but that keep trained on South Afrika and the world. 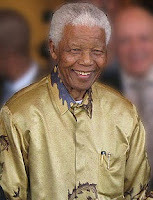 Mandela. These rays point somewhere deep in our memories in the history of black people in the world. The history of the white and the yellow people too, all people. I hope we all know which door of no return we must throw racism and tribalism into... and lack of hope, lack of optimism!